With 14 players out through injury or illness, Manchester United were forced to put out an under-strength squad against the Danish champions. Despite that, the fact that they were donning the Manchester United jersey meant that were expected to dominate proceedings at the MCH Arena with incisive passing and high pressing tactics. Unfortunately, there was nothing of that sort on Thursday evening. There was no one dictating play from midfield, they were losing duels to their Danish counterparts and there appeared to be absolutely no desire to take control of the game. The quality of the final pass in the attacking third was simply non-existent from Louis van Gaal’s side. 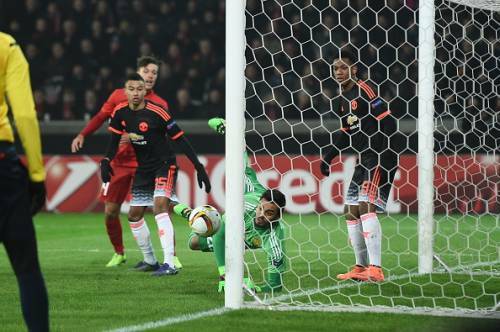 Poor mistakes at the back for both goals wasn’t helping United’s cause either. Instead, it was the ‘underdogs’ who were almost unbelievably creating the better chances and troubling the United defence time and time again. Completely unexpected from a team who were expected to struggle for match fitness having not played a competitive fixture for 71 days before this one. 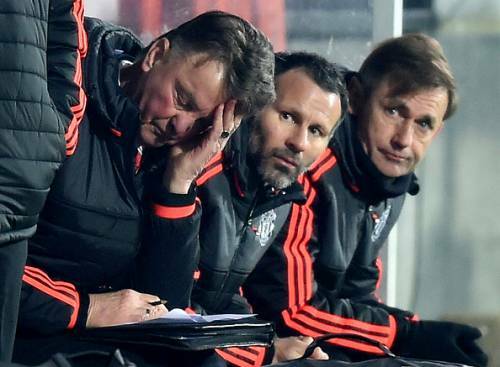 Another European night to forget for Manchester United. A manager’s worth is decided by how he tweaks things at crucial moments for his side. 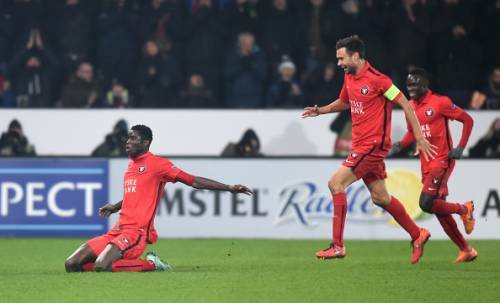 Upon realising that Manchester United were struggling to deal with the Midtjylland pressure in the second half, he sent the tall, daunting figure of 21-year old Paul Onuachu on the hour mark. His presence almost immediately paid off, as he beat Paddy McNair in the air to powerfully head a cross towards goal, only to see it getting stopped brilliantly by Sergio Romero. Despite that missed opportunity, he continued to threaten the Manchester United goal throughout, making inroads into the defence and having a crack at goal several times. He finally got his reward in the 77th minute, when he struck a low shot past a diving Sergio Romero after three Manchester United players stood off him. Poor defending, but Onuachu won’t care about all that. He may well have scored the most famous goal in the Danish club’s 17-year history. David de Gea’s injury during the warm-up meant that Sergio Romero had to step in between the sticks for Manchester United – his first appearance since October. He proved that he was more than capable of filling the boots of de Gea, as he made 3 magnificent stops to save Manchester United from further embarrassment. A header from point-blank range, a one-on-one situation and a powerful Onuachu header from 6 yards out were all kept out by the Argentine. Not bad when you can have a keeper of that calibre as second choice. 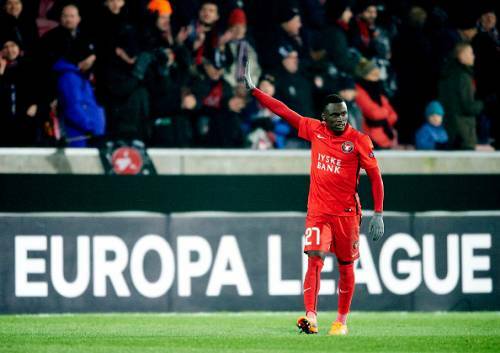 Manchester United, Manchester City, Tottenham, Everton and Southampton are some of the Premier League clubs who have been keeping an eye on Midtjylland’s 21-year old midfielder Pione Sisto. On Thursday, he demonstrated why he was a sought-after prospect with a fantastic performance in midfield. His beautiful solo effort to pounce on a misplaced Ander Herrera pass and skip past a number of United challenges to score Midtjylland’s equaliser was reflective for the Dane’s quality on the ball. He continued to harass the United defence for long periods, linking up wonderfully with Rilwan Hassan to create a number of goal-scoring opportunities in the second period. Even the experience of Michael Carrick found the going tough against this wonder kid. #5 What now for Manchester United? A shocking defeat and a shambolic performance means that Manchester United have now been beaten 11 times already this season. They may yet be in the driving seat to qualify for the next round thanks to the away goal, but most Manchester United fans have accepted that this is fast turning out to be a season to forget. Every time United try getting out of a hole, they seem to be falling further into it. A lengthy injury list, poor league form and most critically, uninspiring performances on the field have angered Manchester United fans for a very long time now. The proportion of fans calling for Louis van Gaal’s sacking has been skyrocketing by the day, and if performances continue to frustrate spectators, the 64-year old may well be counting his days as Manchester United’s manager. The display against Midtjylland was spineless, devoid of creativity and willingness to finish the job off in this half of the tie. A contrasting performance at Old Trafford is absolutely crucial for Manchester United if they want to stay in the Europa League. After all, it’s almost certain that this is their only route to Champions League qualification next season.